How many times have you thought about an old favorite restaurant, store—or even an apartment or house—that you’ll never get to experience again, and wish you’d taken more photos of it when you had the chance? Or even just one photo? Unfortunately, most of us were too busy enjoying the moment to think about preserving the moment. Aside from the occasional employees who were mindful enough to capture a few snapshots during their tenures, most of us just never thought to bring a camera to these places in their heyday. Most of us took it for granted that the places where we grew up were not only unremarkable, but that they’d always be there. 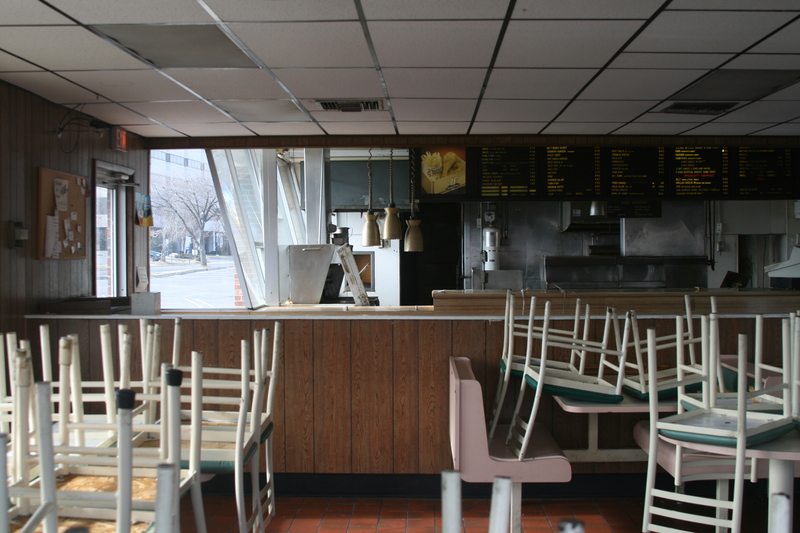 While they’re certainly not from its heyday, a pair of photos by Flickr member sally henny penny succeed in preserving a moment—a final, quiet, and reflective moment inside Laurel’s Tastee-Freez/Big T restaurant—shortly after it closed in 2007 and was razed in 2009. To get the full effect, you really have to view them at their full size on Flickr, or click the photos below to enlarge. There’s an unsettling contrast in the scene; on the one hand, it’s every bit as familiar as it was in the 1980s. You’re instantly transported—once again standing before the counter in the Big T, glancing at the overhead menus—some of which appear to even be backlit. The trio of heat lamps are still there, ready to warm arguably the best roast beef known to man. Business cards and flyers—perhaps advertising The Whitewalls band, or an antique car show—are still tacked to the bulletin board near the exit. But at the same time, there are the unmistakable clues that this is merely a shell of the Big T that we knew and loved. It’s closed, and it’s not opening ever again. 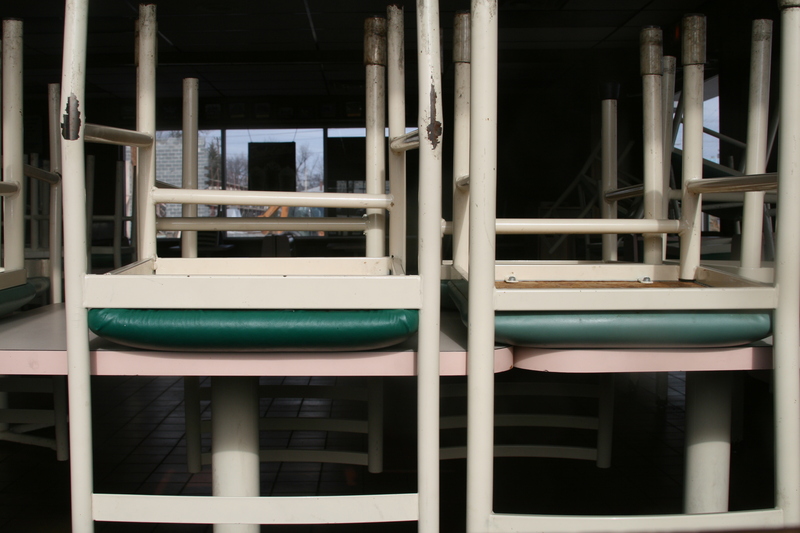 The chairs are stacked on the tables; but more ominously, parts of the counter and electrical wiring have been disassembled. And most of all, there’s a distinct sense of emptiness in the restaurant which was heretofore unimaginable in this warm and vibrant place. Not to compare the Big T’s demise to the worst maritime tragedy of the 20th century, of course; but something about this scene just feels eerily like exploring the underwater wreckage of the greatest “Big T” of all—the Titanic, which sank a century ago this year, coincidentally. But then again, nobody ever raved about the roast beef sandwiches on the Titanic, to my knowledge. And I wouldn’t be at all surprised if people are still talking about this wonderful place a hundred years from now, as well. There was this tiny little Afghan restaurant right down the street from where I grew up where my family would always go for take-out, and a few years ago it was damaged in a fire, and then later closed altogether. I haven’t been back in a long time (I think it’s a bank now), but after reading your post I may just try and stir up some old memories. So true! Then again, taking photos was so expensive back in the day. I probably have loads of random photos in albums, boxes etc. but I wasn’t really allowed to be into photography, as we all seem to be in these days of costless picture taking. It also makes me take a step back from all the kiddie/family/vacation photos I seem to have accumulated and just take everyday photos of those places in between. I love your blog, it brings back so many memories of growing up in Laurel in the 80s/90s and all the changes it’s gone through. Glad you are able to find these and present in such a beautiful format. A buddy of mine that lived on 11th Street in Laurel Hills worked here for years until he got killed walking along Route 1. I like your site. 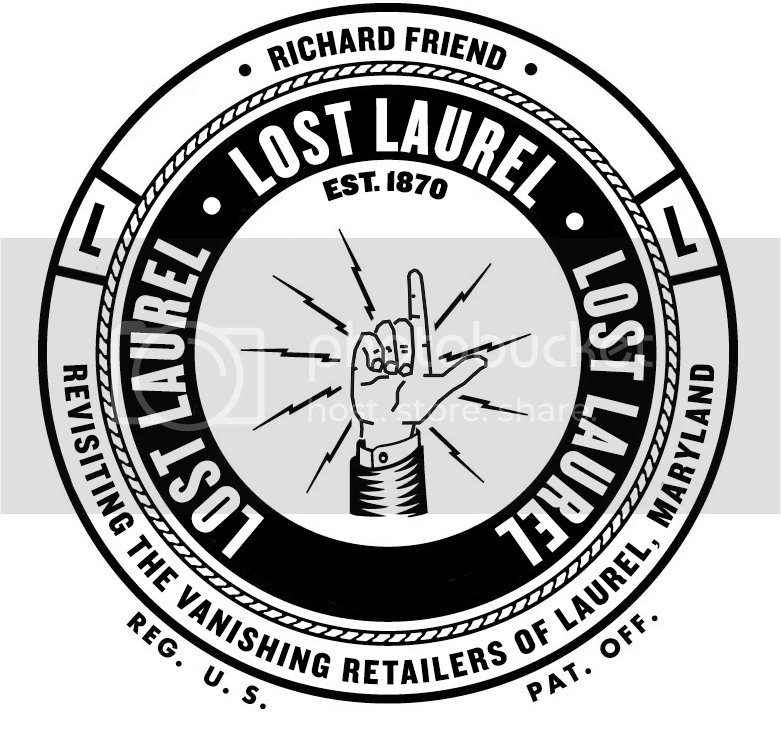 I lived in Laurel on and off from 1959 through 1977. Used to deliber the Washington POst to Steward Manor in the late 1960s.